Lieferzeit: sofort versandfertig, Lieferfrist 1-3 Werktage. Achtung: hier kein Ausweis der Mehrwertsteuer, da wir bei diesem Artikel die Differenzbesteuerung nach § 25a UStG anwenden. 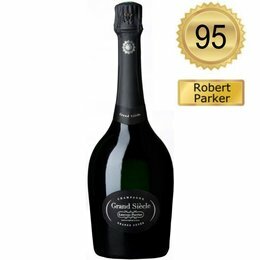 The NV Grand Siècle Grande Cuvée is a Grand Cru Brut based on 55% Chardonnay and 45% Pinot Noir from a total of eleven villages. The youngest release is a blend of the (declared) vintages 2002, 1999 and 1998, and has a yellow-golden color that opens beautifully with a clear, deep and complex bouquet. It is pure, ripe and very elegant, mixing pain-aux-raisin and honey flavors with pure chalk. 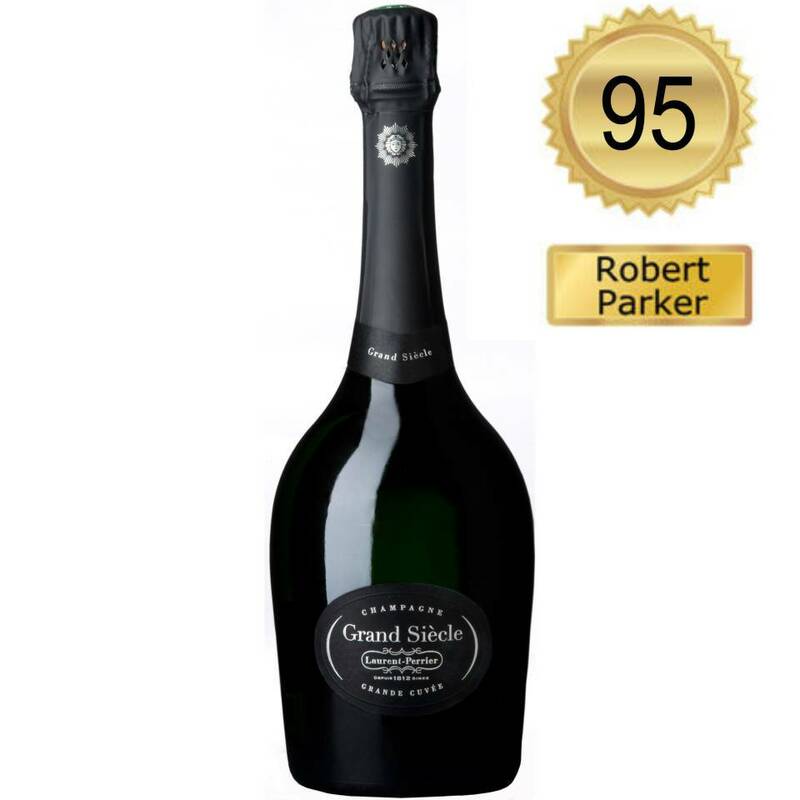 Ample, highly elegant, beautifully matured and fruit-intense, with fine caramel, honey and torrone flavors, this is a well-structured Grand Siècle with great finesse and delicate freshness. Awesome. Champagnes of Laurent-Perrier are mainly based on Chardonnay, whereas Pinot Noir is a junior partner and Meunier is only a very small part of the cuvées. Chef de cave François Cotard tries to extract the maximum of the aromatic part of the fruit to keep the natural freshness. That's why he ferments at controlled temperatures at 16 to 17 degrees Celsius in nothing but stainless steel vats. All of the cuvées undergo malolactic fermentation. Since Cotard protects his musts and wines from oxidation and racks the wines from the first lees very early, the wine style of LP is a very clear and reductive one. The assemblages of varieties, terroirs and vintages are made with the goal of keeping the freshness, finesse and elegance of the wines. The wines receive their maturity only from the aging on the lees from the second fermentation. Laurent-Perrier's range of Champagnes remains the same since 1982. All of the cuvées are excellent gastronomic Champagnes that go very well with food – or as an aperitif. The palate-cleansing Ultra Brut is a perfect Champagne for both aperitif and digestif.